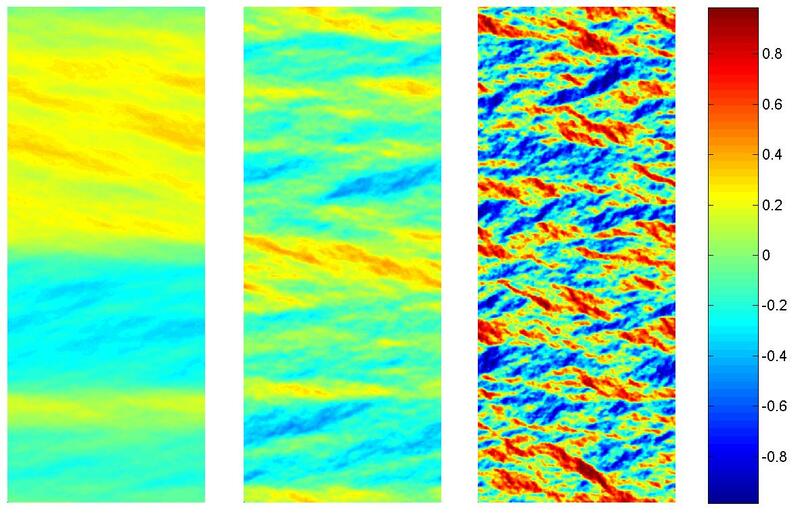 Remanent magnetization states (shown as color maps of the horizontal magnetiza­tion projection) of various thin films initially saturated in the vertical direction: left image – Py, middle – fcc Co and right – hcp Co. Switching of a rectangular ‘soft’ magnetic element. Simulated transient magnetization dynamics for a square-shaped Py element. Frequency dependence on the (reduced) current strength for the spin-torque induced magnetization oscillation in the point contact geometry. Gray-scale snapshots of the out-of-plane mag­netization component for one of the localized oscillation modes induced in a Py layer by the spin-polarized current injected via the point contact with the diameter 80 nm.